(0 Customer Reviews) | Write Review 12 issues per year Readers will find accurate tests and reviews of the best knives that are in production worldwide, written by competent and industry savvy journalists. KNIVES INTERNATIONAL REVIEW is published monthly in English only, in digital form. Readers will find accurate tests and reviews of the best knives that are in production worldwide, written by competent and industry savvy journalists. KNIVES INTERNATIONAL REVIEW is published monthly in English only, in digital form. 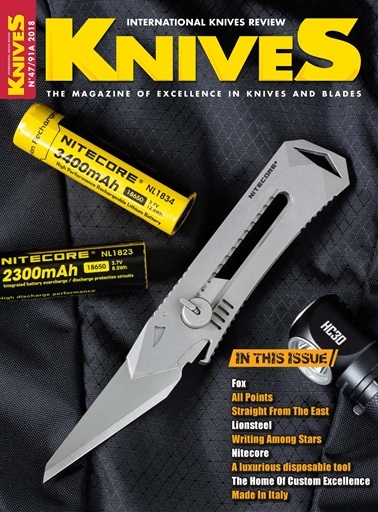 You'll receive 12 issues during a 1 year KNIVES INTERNATIONAL magazine subscription. You'll receive 12 issues during a 1 year KNIVES INTERNATIONAL magazine print subscription.